Share "Looking To Remodel? How Drafting and Design Services Can Help You Plan"
It’s an easy assertion to dive head first into a new home remodeling project. The temptation to remove the old and bring out the new can be tough to curb, but should not prevent you from carefully planning out the details of the project. New projects present new challenges and these challenges can often be tough to understand, let alone overcome. 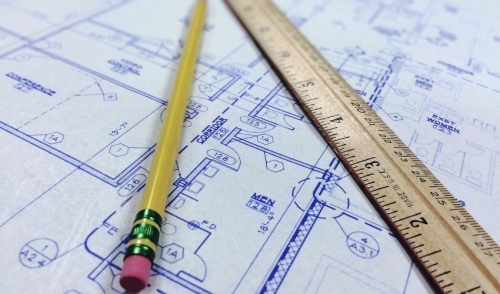 One resource everyone can benefit from when remodeling is a drafting and design service. Drafting and design services can help you plan and execute your remodel project exactly how you want it. Professionals like architects and interior designers offer you the professional assistance you require to meet all of your needs. Their primary function is to build and create something special for the people they work with. However, there are some fundamental differences between architects and designers. An architect is academically trained and educated in design theory, engineering, and project management. A designer typically does not have academic training in architecture but rely on their experience with a wide array of interiors. Both can help you change the appearance of your home, but each will procced in their own way. Designers may be more design forward whereas an architect will be more project management focused. Both have their merits depending on how you wish to remodel your space. Regardless of these small differences, all drafting services can help you come up with unique ideas to solve complex design problems while also making sure the project remains true to its aestheticism. Having someone who can help you work through all of this is essential to having a smooth remodel. Without careful planning or resolving issues before they start, a 3-month remodel project can easily turn to 6 or longer. Never lose sight of the fact that architects and designers are there to help you plan through your remodel. A contractor will help you execute your project, but understanding every little detail within the layout of your project is the sole benefit of having these services by your side. These plans are going to be schematic, rough, and sometimes even presented to you at scale. The planning process of a remodel can take a considerable amount of time and it’s important to be patient as schematics are subject to change as obstacles present themselves. As you begin your remodel process, approach your designer or architect wisely. This means understanding the scope of your project, the budget, and asking the right questions to make sure you have the right team assembled to help you achieve your goal. Not all drafting and designing professionals will be a good fit for what you are trying to do. Pick the individual that can embody your idea and give you the tools and relief to make it happen. Planning is everything when it comes to a remodel. Having accurate schematic plans will enable you to execute and deliver on your project with the least amount of resistance and within budget. A good remodel starts with good design. Contact a drafting and design professional today to translate your remodel ideas into action that will make a difference in your home. © 2019 Ritters Hardware Co. . All rights reserved.